For six days a week the women gardeners — all of them poor, and many of them widowed — are busy between the rose hedges and fruit trees. The province — home to the Tora Bora mountain range, where al-Qaeda leader Osama bin Laden hid after the 9/11 attacks — is now a stronghold of Daesh, where they compete with the Taliban. “For most women, this is the first work experience out of the home,” said Mohammad Nader Sargand, head of UN-Habitat’s ‘Clean and Green City’ programme in Jalalabad. The programme, launched in 2016, aims to create, rehabilitate and maintain urban parks in Afghanistan’s main cities by employing the most vulnerable, including women and those displaced by war. In an Asia Foundation study in May 2017, 66 percent of Pashtun Afghans surveyed accepted the idea of women working outside the home – compared to 74 percent of the national average. Cover image taken from . 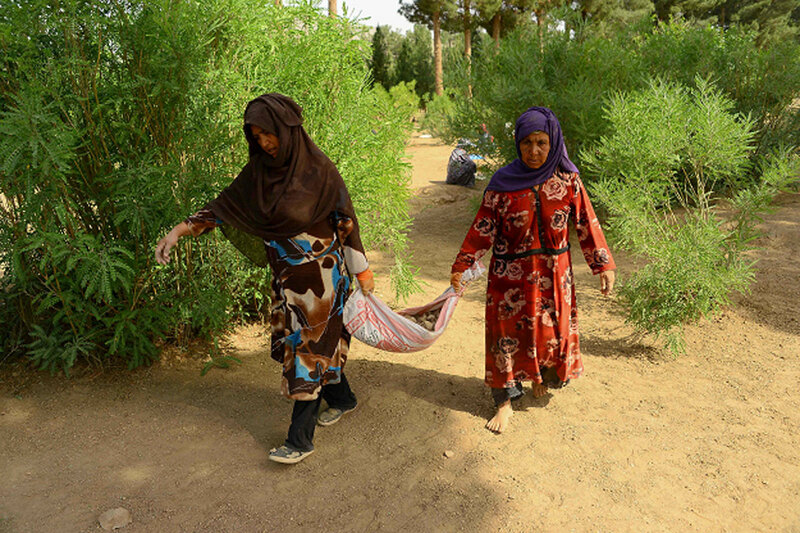 It shows Afghan women work the soil at a park in the city of Herat.